Sometimes it can be difficult to make a decision about your eyewear. Your decision is not only about your vision, but also makes a statement about who you are. The eyewear you choose not only affects how you see, but also how others see you. There are so many options to choose from, and choosing the exact look you want for you face and your lifestyle can be overwhelming. 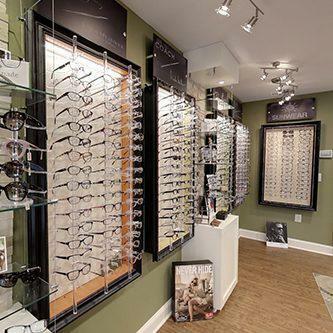 Our staff is trained to help you find the best eyewear for your individual needs and knows how different lenses and frames will impact your sight. Our staff will help you sort through the many choices you have so you can find the look, fit and functionality you want from your eyewear. At our office we have a large and diverse selection of eyeglasses, contact lenses and designer frames and sunglasses. We carry the latest European and American designer eyewear collections in a variety of styles, colors and materials including titanium, stainless steel and plastic.